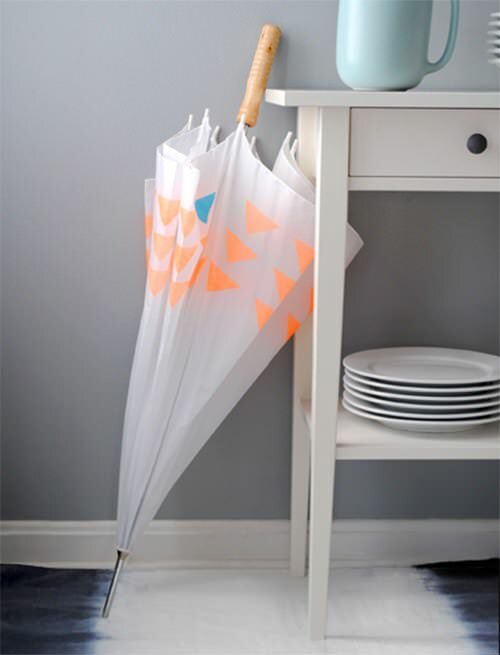 I’m totally in love with this simple & gorgeous DIY umbrella from Erin Loechner’s Design For Mankind. It’s a fantastic project for busting out your favorite stencils. How cool would it be to make a different umbrella for each of your children? 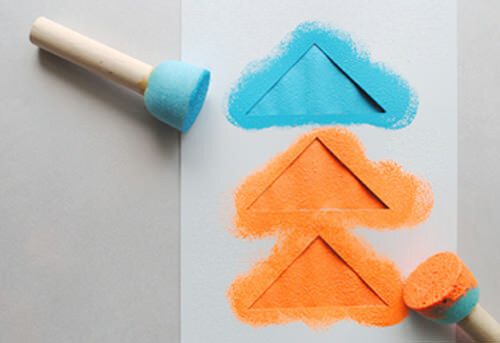 Of course, you can never go wrong with basic geometric shapes like the triangles used in the tutorial. 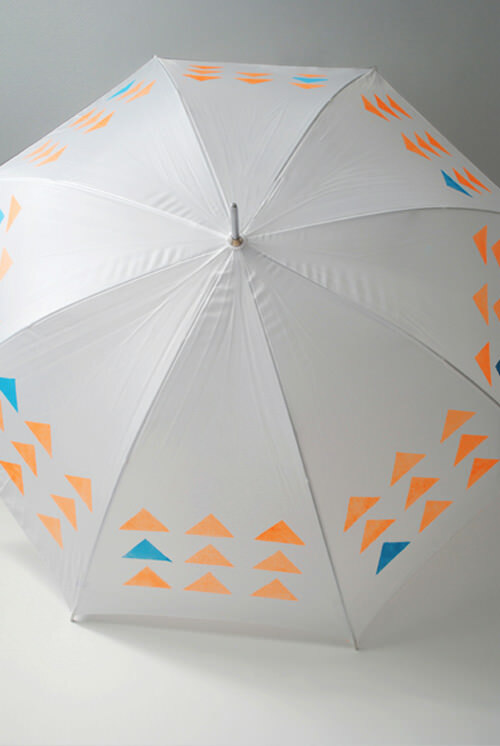 Color them orange and blue and you have the perfect stylish accessory for rainy days. Head over to Design for Mankind for the complete tutorial! What a cute idea! Too bad it doesn’t rain much in Colorado.